Whether you are celebrating your very first anniversary or your tenth, it is always cause of celebration. Honour your love and commitment to each other with a lavish flower arrangement. 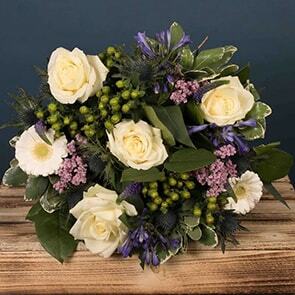 Bloom Magic have an excellent collection of anniversary flowers for Dublin delivery – so that our customers can surprise their loved ones on their special day. 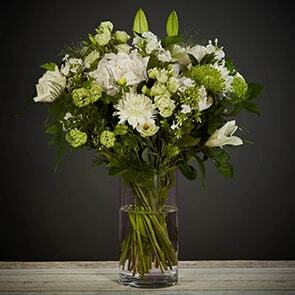 With same-day and next-day delivery available, arranging a floral gift has never been easier. At Bloom Magic, we want to ensure your anniversary gesture is a big hit. To guarantee our collection houses something suitable for everyone, you will find a wide range of different premium designs in our online catalogue. 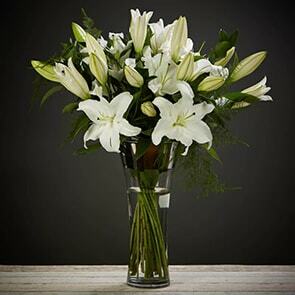 From high-quality roses to beautiful lilies, each of our anniversary bouquets embrace a different style. 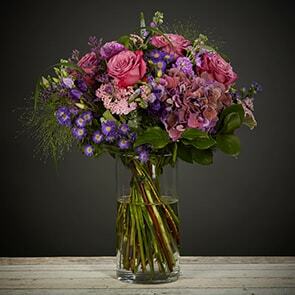 Make a lasting impression with an arrangement of deep red roses presented in a waterproof hatbox or go for a charming, romantic bouquet with soft blue and lilac flowers presented in hessian wrap. Go the extra mile for this year’s anniversary and take advantage of Bloom Magic’s exclusive add-ons available for all flower orders, including our Dublin anniversary flowers. 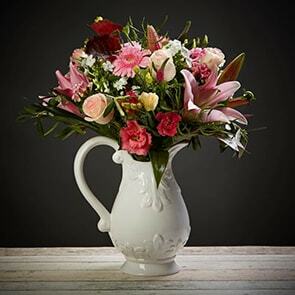 Include an elegant vase to your order so the bouquet can be displayed swiftly right after delivery. You can also add a selection of other gifts, such as yummy chocolates, a bottle of fizz or wine, or a scented candle. To make the ordering process a little easier for our customers, we have a selection of anniversary gift sets to choose from. Combining chocolates, prosecco and our fresh-cut flowers, each gift offers great value for money. You can upgrade any bouquet to a deluxe or premium arrangement, meaning your anniversary gift will pack a little more oomph. Although every measure is taken to ensure you and your recipient will be happy with your order from Bloom Magic, we do have a team of customer service representatives who are on hand to help out with any queries or questions you might have. 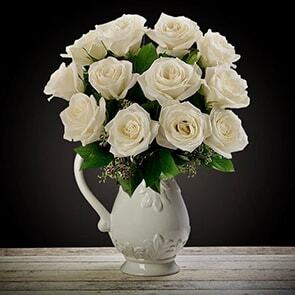 Whether you want to safeguard a certain flower is excluded due to allergy concerns or you have a question about our Dublin delivery terms, simply reach out through one of the following methods: phone, email or live chat when available. We don’t just deliver anniversary flowers to Dublin. Our full catalogue is available to order for every occasion. Say Happy Birthday, wish someone well or congratulate the happy couple on their big day – it is all possible with Bloom Magic. And if you do plan on using Bloom Magic more than once in a twelve month period, sign up to our Gold Club to receive free standard delivery on as many flowers as you want, all this for the one-time fee of €15.